HP ProLiant DL380 G7 16-Bay, 2x 2.66GHz HexaCore, 64GB RAM, no hard drives. 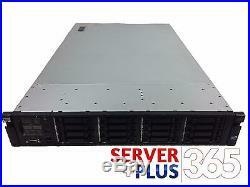 HP Server Proliant DL380 G7 - 16 SFF Bays. X5650 Intel 2.66GHz/12M/1333 Xeon Six-Core. 1Gb 2-Port NC382i Adapter (Qty 2 - 4 Ports Total). No Hard Drives, Caddies, blanks included. HP Smart Array P410i HP SAS Expander. 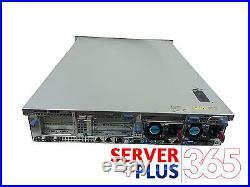 HP Smart Array P410 w/ 1GB Flash Backed Cache HP 24-Bay SAS expander card. HP 460W High Efficiency Hot Plug AC Power Supply Kit. 2nd hard drive cage requires DVD removal. Integrated Lights Out 3 (iLo 3) Remote Management Port. We do not include any COA or install any OS by default. The item "HP ProLiant DL380 G7 16-Bay, 2x 2.66GHz X5650 HexaCore, 64GB RAM, no hard drives" is in sale since Friday, March 24, 2017. This item is in the category "Computers/Tablets & Networking\Enterprise Networking, Servers\Servers, Clients & Terminals\Computer Servers". 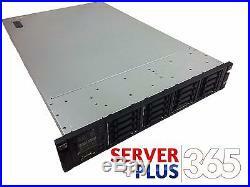 The seller is "serverplus365" and is located in Marietta, Georgia.